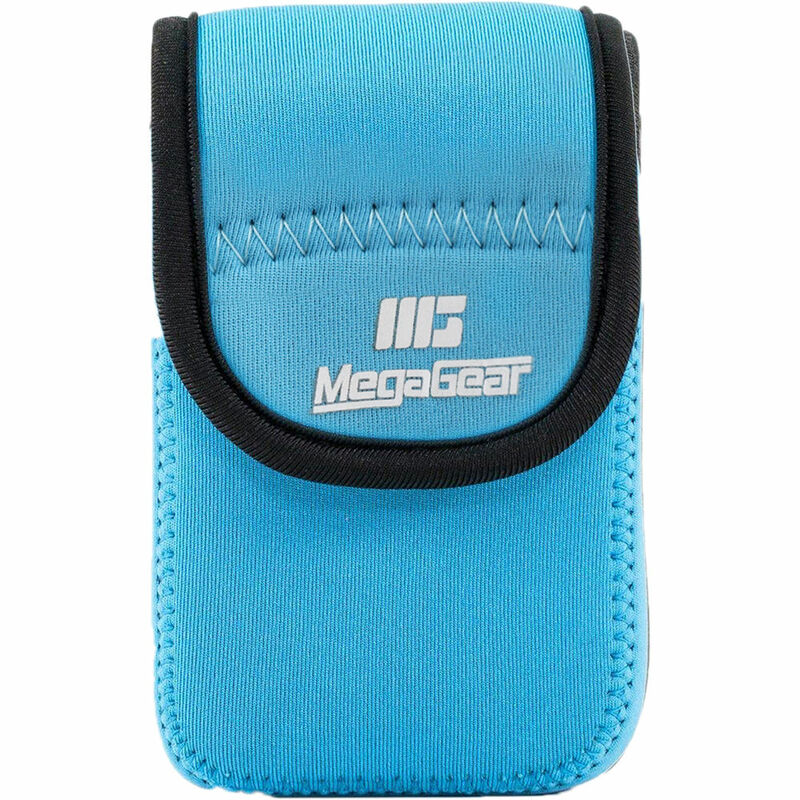 Store and protect your Canon SX170/720/710/700 HS, Canon G16, or Sony DSC-HX60V from dirt, dust, scratches, and light impact inside this compact blue MG038 Ultra Light Neoprene Camera Case from MegaGear. An attractive case, it features stylish edge stitching for a handmade appearance. For ease of use, the case is opened and closed with a touch-fastening flap. Carry your Ultra Light in hand, with the holder clip, or by the carabiner. Photographers have the option of using this case with or without a neck strap. When removed, the case may be clipped to your camera strap, belt, or attached to other gear with the carabiner.